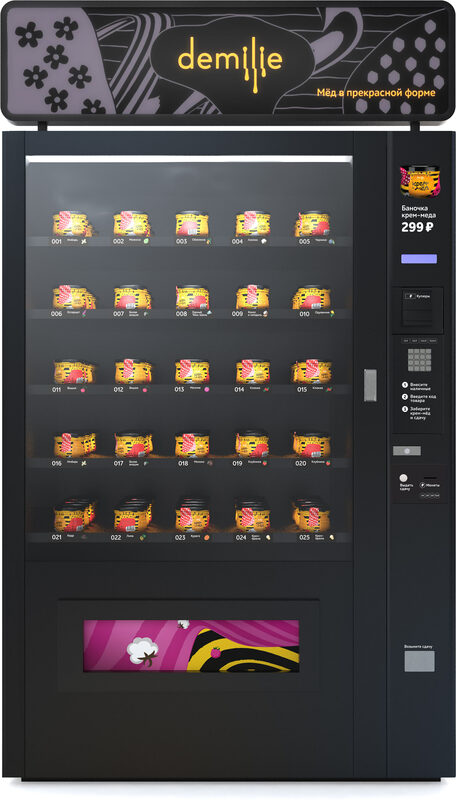 Task: to design honey vending machines. 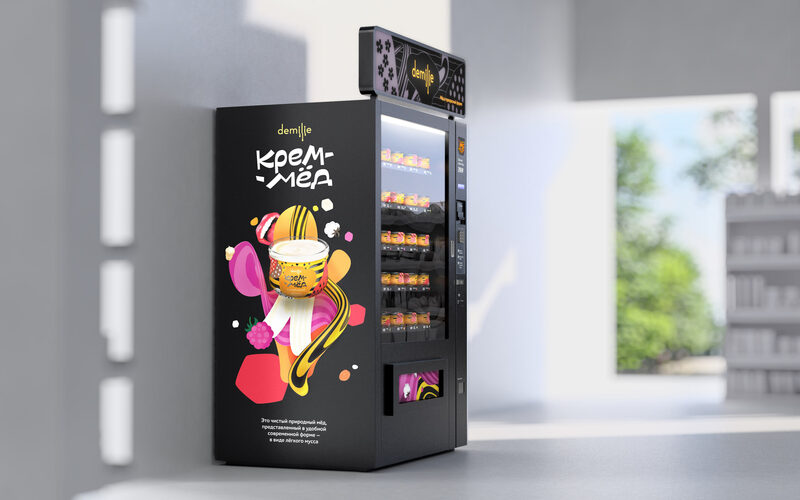 The unusually tasty and uniquely beautiful Demilie creamed honey is now sold in vending machines. An attractive design for the machines and straightforward captions for all parts of the mechanism were created at the studio. 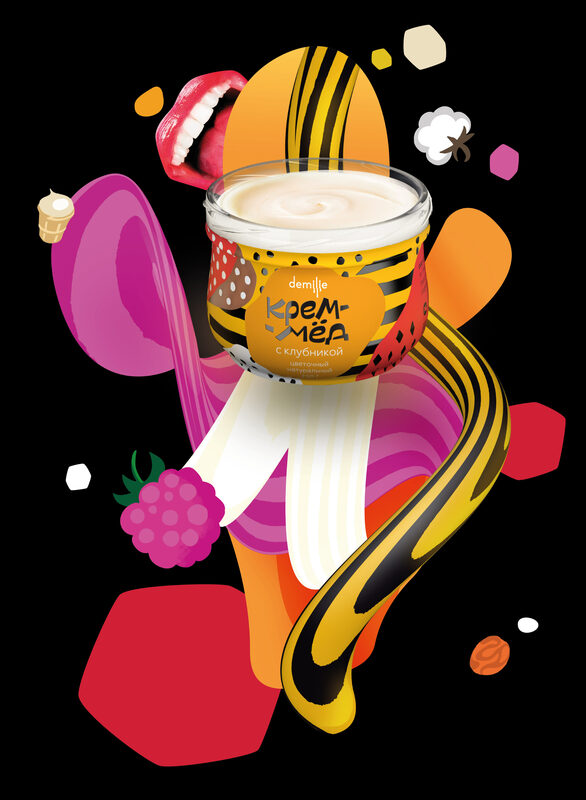 One side of the machine contains a photo collage where various flavors of honey are spread on pancakes, muffins, toasted bread or are simply eaten with a spoon. 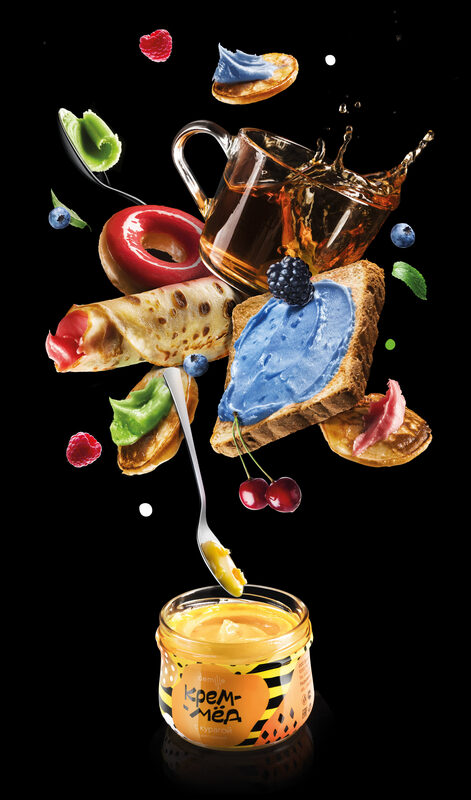 Red, green and even blue honey for any taste! On the other side is a bright illustration that continues and further develops Demilie’s graphic style. Just looking at the machine makes you want to come closer and see what tasty treat is being offered.